This page has been visited 3066 times. 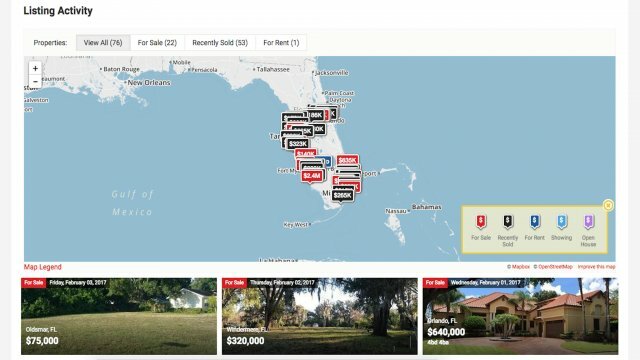 Phone:Need to list a home in Florida? Talk to us first. Other:Discount MLS Listing specials for homeowners. 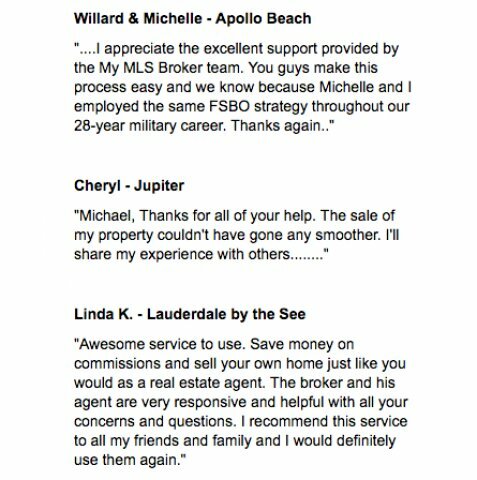 For a full service real estate brokerage with the expertise to provide Full Service property sales, Flat Fee Limited Service MLS, List By Owners on MLS flat fee or to pay rebates to buyers, then turn to the real estate professionals at Mymlsbroker.com. Mymlsbroker.com specializes in flat fee real estate agents to list your home for sale on MLS, including all residential homes, houses, condominiums & land. 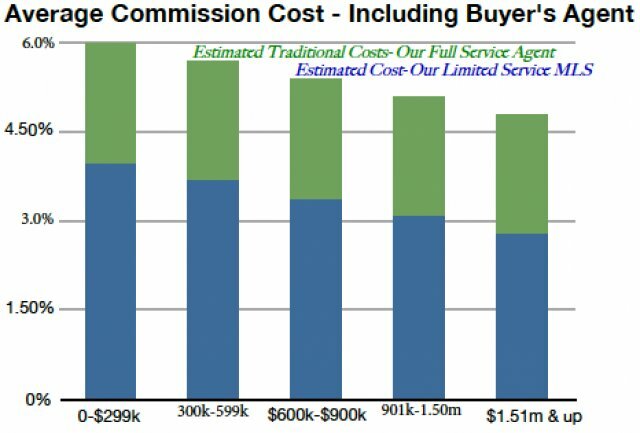 Mymlsbroker.com offers two flat fee discount listing plans by our Florida Realtors, compared to our full service home for sale MLS listing plan, sign up with a link in the left column of this page or call Michael Conciatori, 813-333-5095. List your Florida real estate & homes for sale for a Flat Fee on MLS, Fl. Represent yourself in place of an agent. One By Owner MLS listing plan, you save thousands. POWERFUL FLAT FEE MLS LISTING SERVICE, FL $299 for your discount listing, 3%* is the example commission offered for buyers; you choose the commission offer amount during the easy listing form. A checklist including commission ideas and other information is provided to you. 813-333-5095. Central Florida Flat Fee MLS By Owner Southwest Florida Flat Fee MLS By Owner Southeast Flat Fee MLS By Owner If totally representing yourself for sale by owner is too much work or too much stress, but you still want to pay less listing commission, then try our Flat Fee Limited Service MLS, Florida with Realtor representation. Limited Service Seller's Realtoris full representation with limited cost because we don't visit the home. We manage all of the details of your for sale listing, price analysis, appointment calls, feedback, follow up, negotiations & contracts at a substantially reduced rate from our full service listing; you save 35%* to 50% or more off our Full Service. 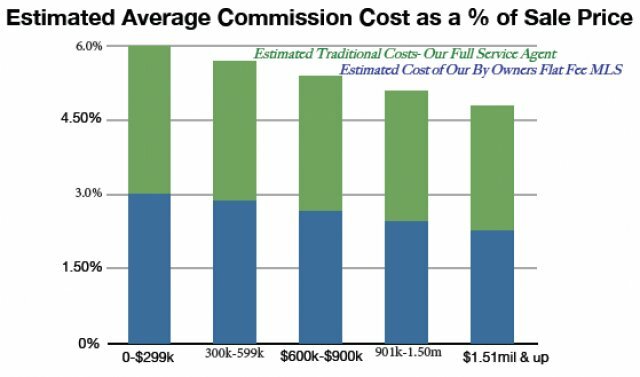 There's a $299 listing fee, then pay commission at the closing, as low as 1.50%' if we find the buyer, up to 4%* with another broker's participation. Send an email or call 813-333-5095 to receive a detailed offer, because higher home values = better percentage rates. Seller's Realtor, Full Service Real Estate Agent: (fees may apply) Property review Help determine and clean out "extra" household items Cleanup Pictures Price range valuation with projections of time MLS advertising Call screening Appointment scheduling Showing follow up and feedback requests Frequent listing activity review and projections Contract offer review and summary Negotiations Net proceeds & projected costs to close Follow through with paperwork Expert guidance and advice through closing LIMITED POWER OF ATTORNEY REAL ESTATE FLORIDA We offer the option to operate under Limited Power of Attorney Agency. This option allows your agent to complete and sign all necessary documents, listing agreements and contract paperwork on your behalf. Once a POA agreement is in effect, the property owner need not participate and we deliver a check to you when the home is sold.